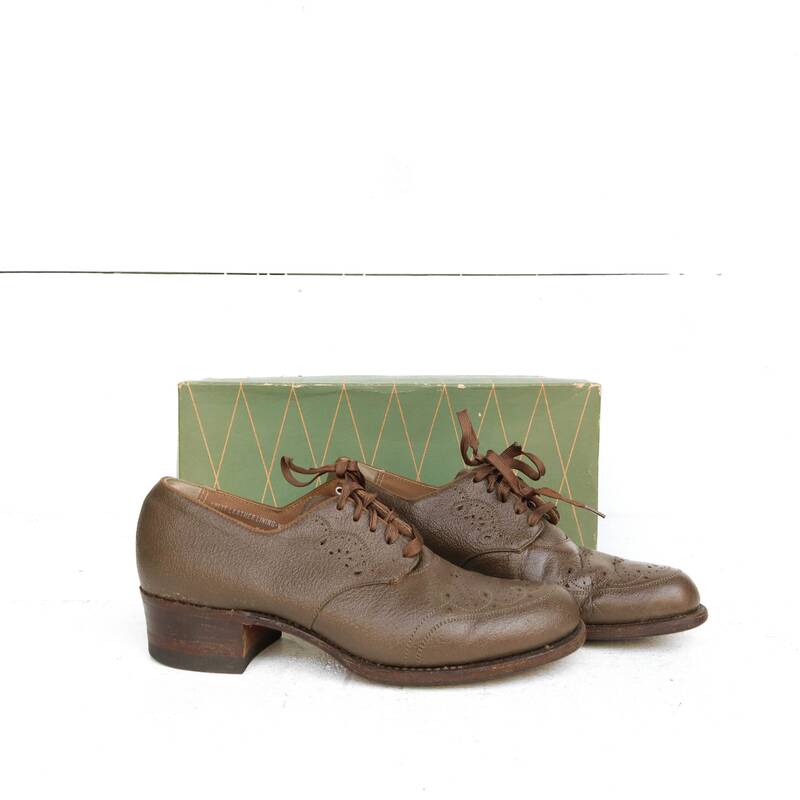 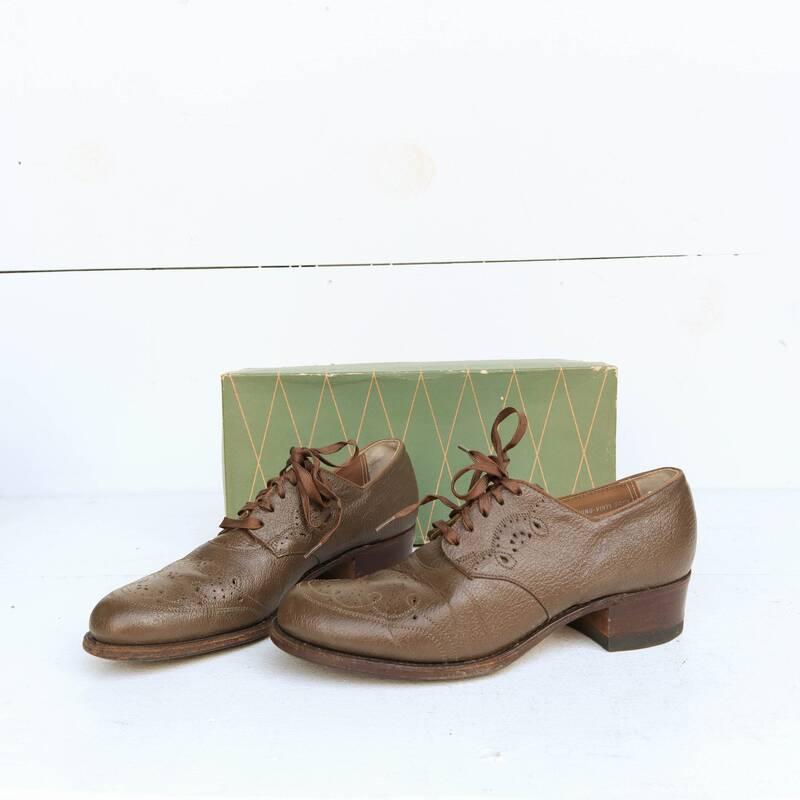 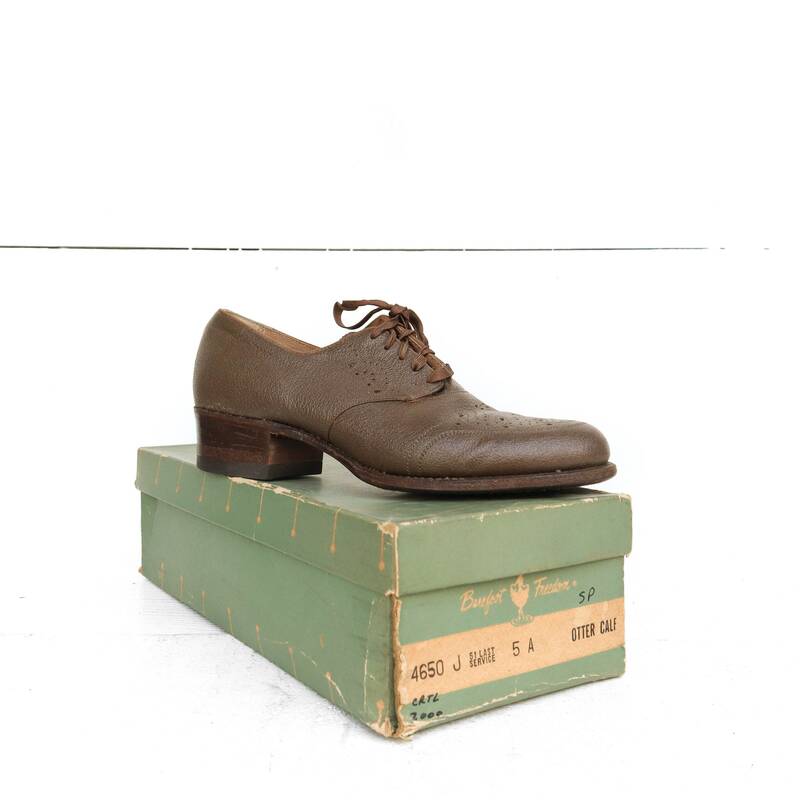 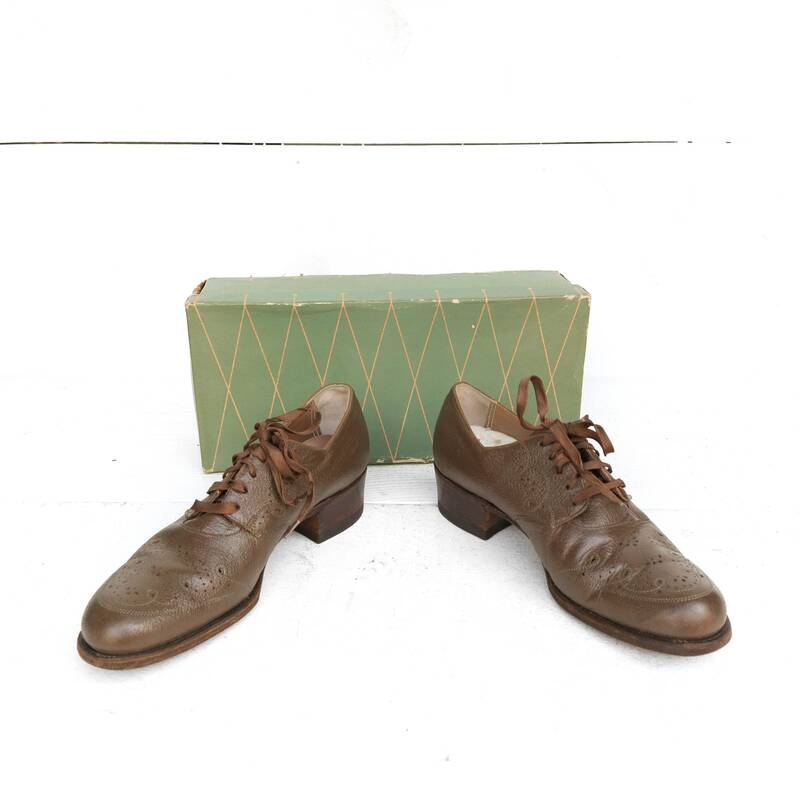 The Barefoot Freedom 1940’s/1950’s heeled oxford style shoes come in a brown color with cut perforated, cut out tops. 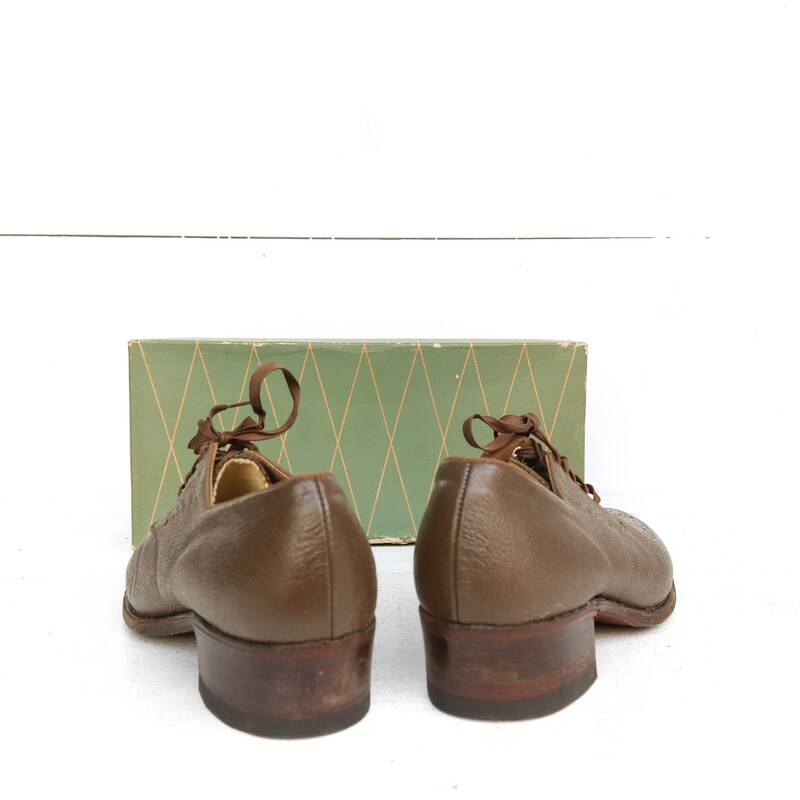 The shoes are lightly worn, good shape overall! 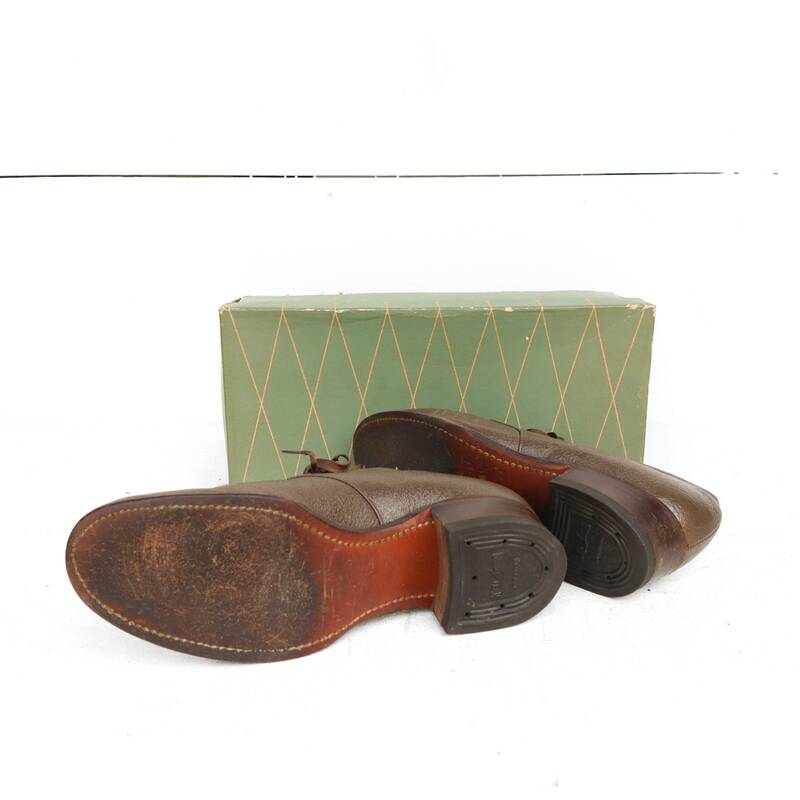 Insole inserts are curled up a bit from age.